TBT: Richie Havens, "Freedom (Motherless Child)"; Woodstock, 1969. 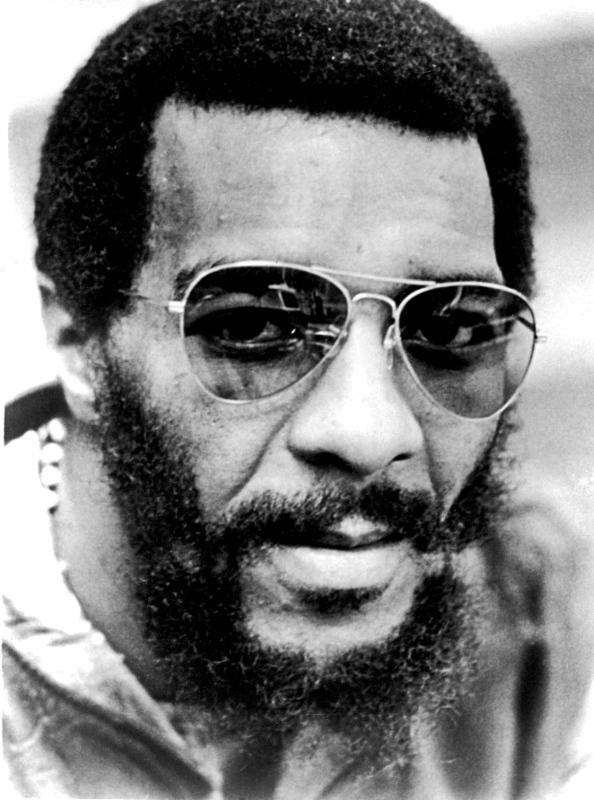 Richie Havens (1941-2013), a Brooklyn native who "brought an earthy soulfulness to the folk scene of the Sixties" (David Browne, Rolling Stone), opened the Woodstock festival in the summer of 1969. He wasn't meant to, but the band Sweetwater, scheduled to be the opening act, was stuck in traffic. He sang until he ran out of songs, but then began strumming his guitar vigorously and chanting "Freedom!" over and over, before segueing into the traditional spiritual "Sometimes I Feel Like a Motherless Child". While I was at the Cosmic American Music Festival last September, I met (and heard some terrific music by) Walter Parks, who played lead guitar in Havens's group until the singer's death. Walter showed me a guitar, showing marks of hard use, that had belonged to Havens, and which he planned to take to the Brooklyn Lutherie for restoration. I wish I'd had the presence of mind to get a photo. Photo: Wikimedia Commons (public domain). 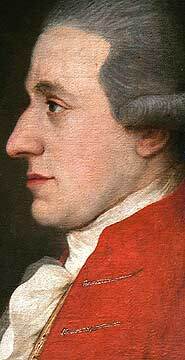 Today (though it's fast passing) is the 260th birthday of Johannes Chrysostomus Wolfgangus Theophilus Mozart, better known as Wolfgang Amadeus Mozart ("Amadeus" is a Latinization of the Greek-derived "Theophilus"). He died at the age of 35, leaving a musical legacy with few rivals. Below is a clip of the first movement of his Symphony No. 40 in G Minor, KV. 550, audio with a still image of a posthumous (1818) portrait of the composer by Barbara Krafft. The profile portrait at left is a recently discovered one, believed to be painted from life, probably by the Austrian court painter Joseph Hickel. The performance in the clip is by the Georgian SIMI Festival Orchestra, 1998. There's a delightful explication of this movement in this PBS Newshour piece, a conversation between PBS's Jeffrey Brown and composer Rob Kapilow, in which Kapilow explains how Mozart started with a simple ten note melody, developed and transformed it, then brought it to a conclusion in what Kapilow calls "the universe in three notes."